This double event weekend was a lot of fun, and the venue was right in the middle of a very beautiful setting. 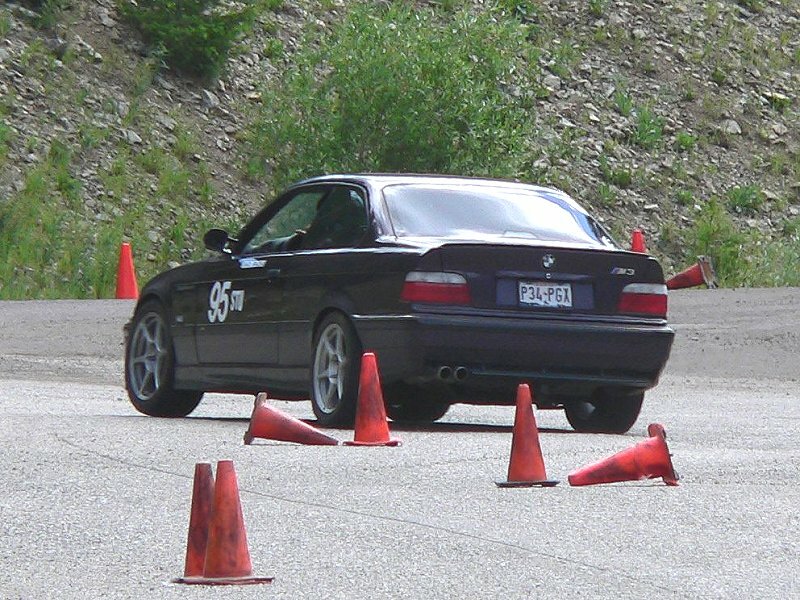 The course was set up on several connecting parking lots that were at different elevation levels, so it was pretty interesting and challenging. 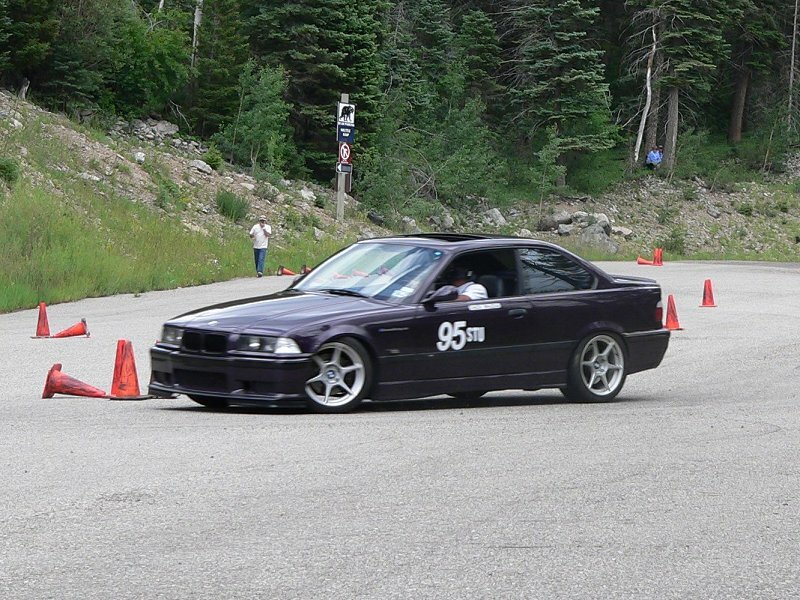 The friendly folks at Rio Grande Region SCCA hold the "Autocross in the Clouds" event once a year, and I'm very glad I was able to attend. I was 1st in my class both days, but just like the OKC event earlier this year, I was the only one in my class (they don't bump classes together like some other regions do). 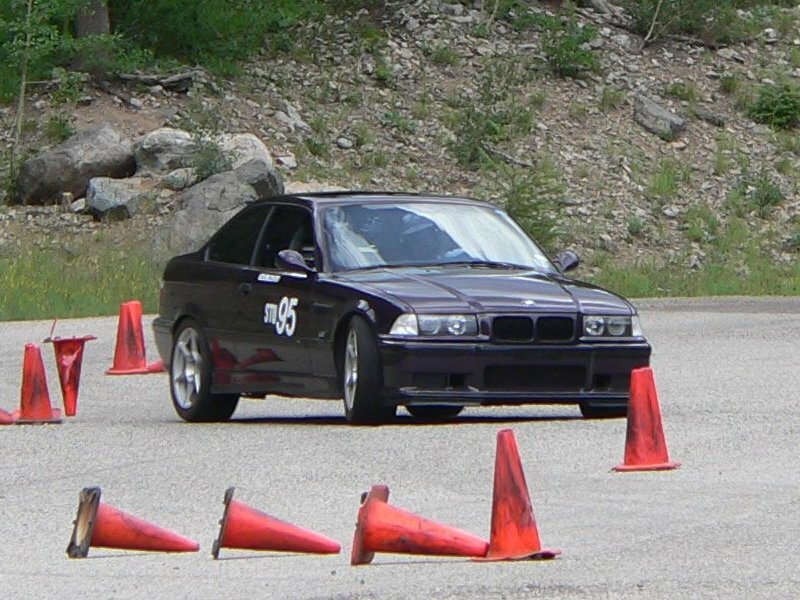 I came in 11th Overall out of 53 competitors on the Saturday event (I couldn't stop hitting cones! ), and I came in 8th Overall (PAX and RAW) out of 58 competitors on Sunday's event (a much better course and flow on this day). My wonderful wife made the trip with me again (this weekend was our 2nd year wedding anniversary! ) and again took some great pics during each day shown below.